In Chicago and the Midwest the saying goes “there are only two seasons; construction and winter”. Most homeowners plan to take on major remodeling projects during the warmer months as there is inevitably a lot of foot traffic, open doors and maybe exterior walls exposed. Having personally gone through a recent kitchen remodeling process in my own home, it reminded me how disruptive and anxiety producing the construction process can be for my clients when, for example, their whole bathroom is being demolished and there are several strange men in the house. So how can an Interior Designer help? Even if you have found a contractor who you like and trust, contractors still need you to make a host of design related decisions. For example, you may have chosen the tile for your new bathroom but have you considered how it will be installed? 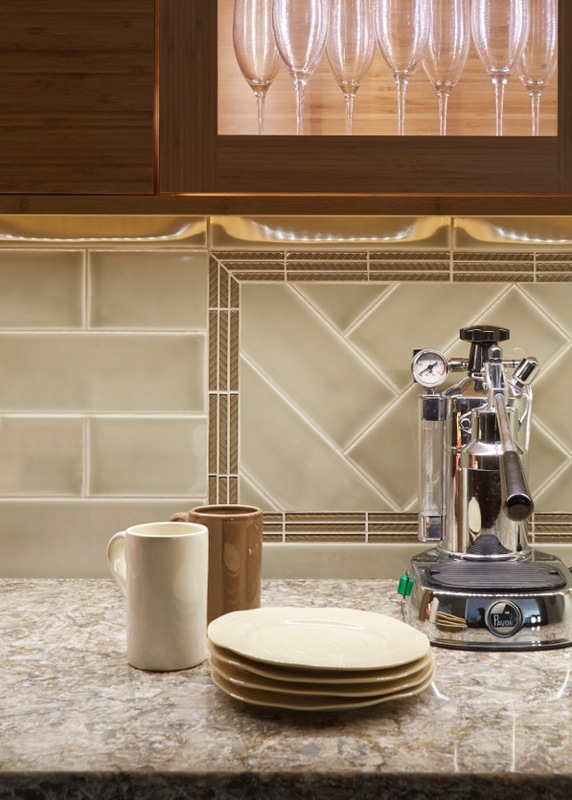 If it is a large rectangular tile, will it be installed vertically or horizontally or maybe on the diagonal; how will the corners and edges be finished and what grout color will you use? Will you be prepared and have the time to think about those details; right when they need an answer? By this I mean, you don’t want to still be making decisions affecting the design of your new room when the construction project is underway. This is a recipe for delays and increased costs due to subsequent Change Orders. A good example would be choosing plumbing fixtures. 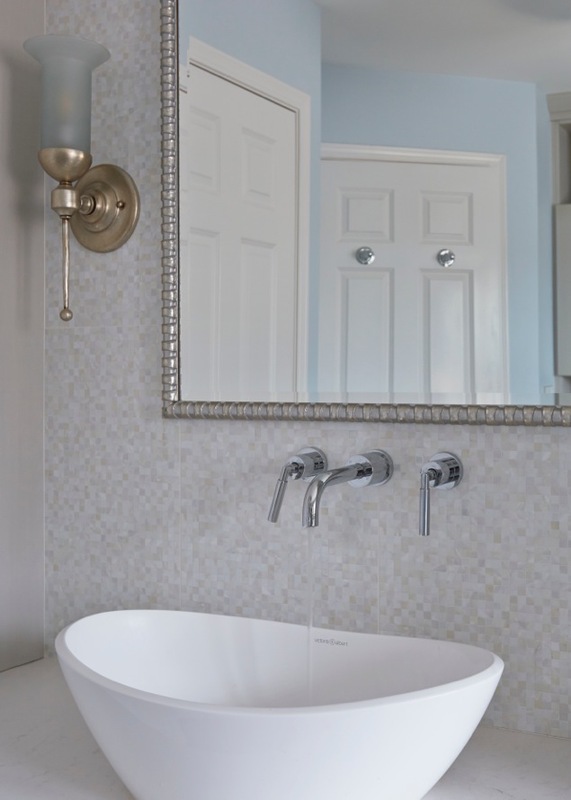 Your designer can help you select the right faucets and shower fixtures for the design and layout of your new bathroom or kitchen and make sure that they are available within the project timeline. Some finishes take longer typically. Finishes should be specified in advance so that everything harmonizes. Designers can produce a finish schedule with an itemized list for your contractor. This helps streamline timelines. You can easily save money ( as well as a lot of headaches!) if your design is fully worked out in advance. Your designer may also be willing to pass on to you designer discounts she receives on plumbing hardware. 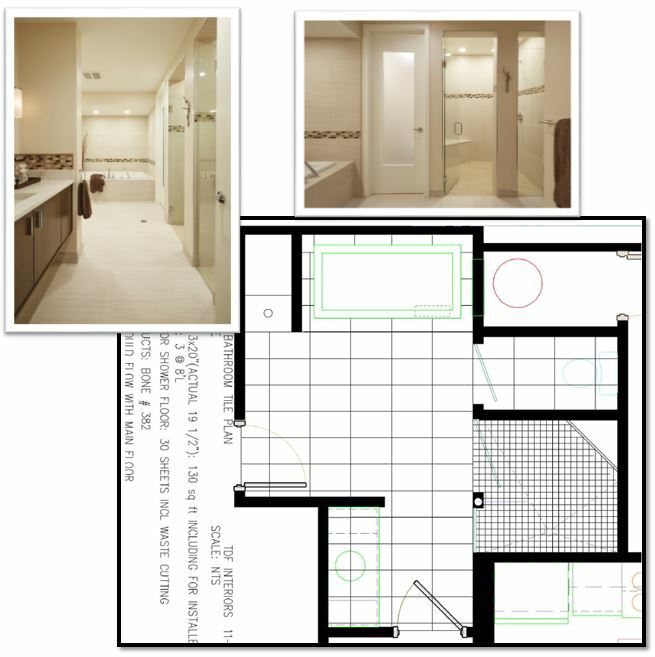 The Design phase is not just about selecting all the materials and fixtures that will be needed for your project. 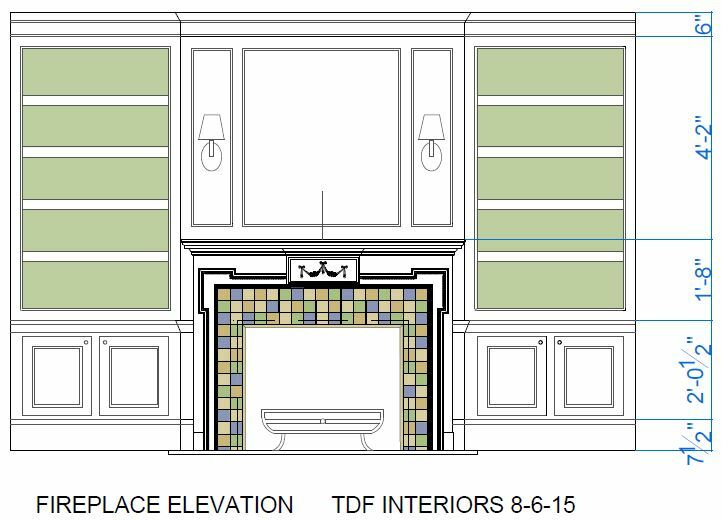 As a designer, I prepare scaled drawings and specifications that are itemized so that contractors can bid on them. This helps you in the bidding process because you are not relying on vague “allowances” in determining your budget. Designers speak the same language as contractors. We can help with bid explanation and negotiation too. 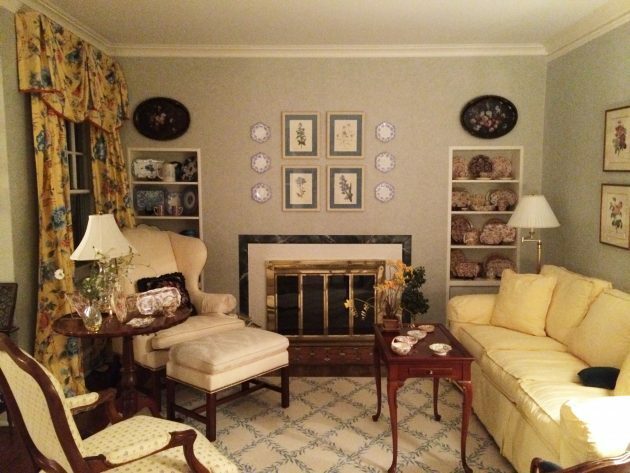 A completely new fireplace with flanking bookcases was designed to scale perfectly with the existing features of this classic older home. The design included a new tile fire surround and custom made brass fire basket. 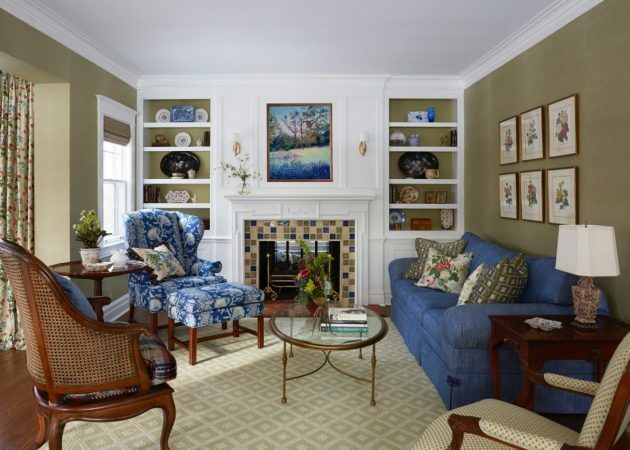 The new fireplace and bookcases have become the focal point of the room while the tile design around the fireplace enhances the color scheme. Every project needs a team approach with clear responsibilities for each party. I always like to start with clear objectives for my clients which form the backbone of all the project management decisions that need to be made along the way.